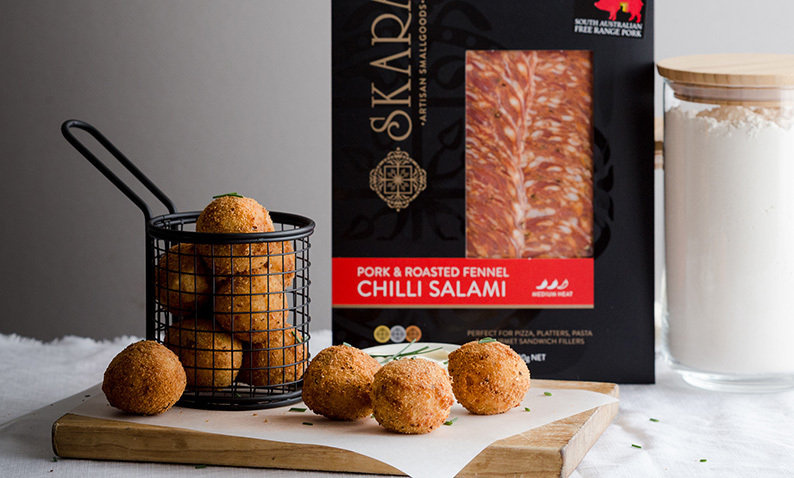 Impress your guests with this artisan selection of gourmet meats. 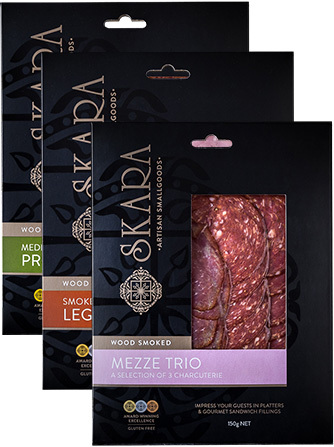 We’ve paired three of our favourite Skara Smallgoods packets with a selection of Mediterranean flavours for the perfect mezze platter, ‘mezze’ meaning antipasto in Croatian. Arrange all ingredients on a large wooden serving board. Enjoy! 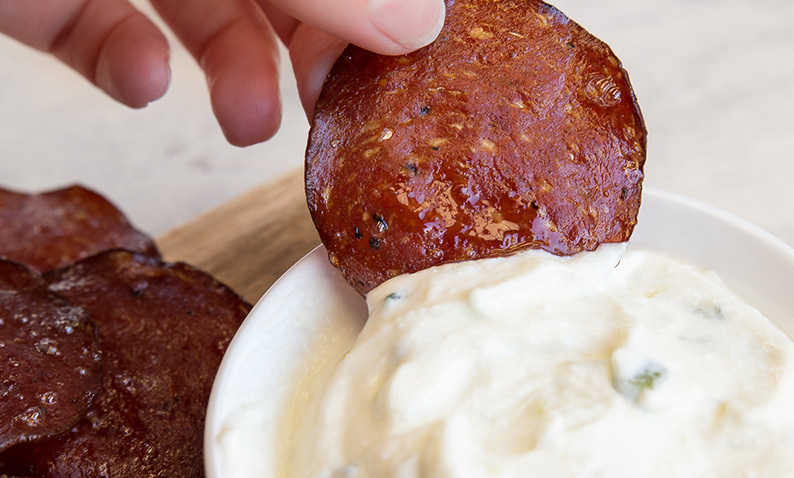 Note: Get creative with ingredients for your mezze platter – our list is just a guide. 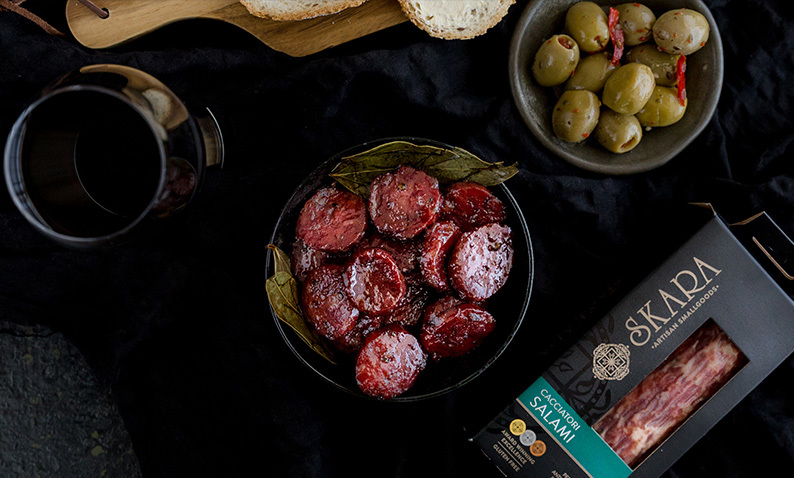 A combination of artisan charcuterie, cheeses, nuts and fruit is always a winner.